Sweet and convenient toy crafts! Print out as many as you want! As often as you want! This two page PDF file contains two Jack in the Box toy crafts that I designed from my original drawings. A sweet doll "Moppet" and happy clown "Poppet"! Just purchase and immediately download the file. Print on 8.5"x11" (letter size) paper. Heavy paper works best. I used a matte presentation paper. 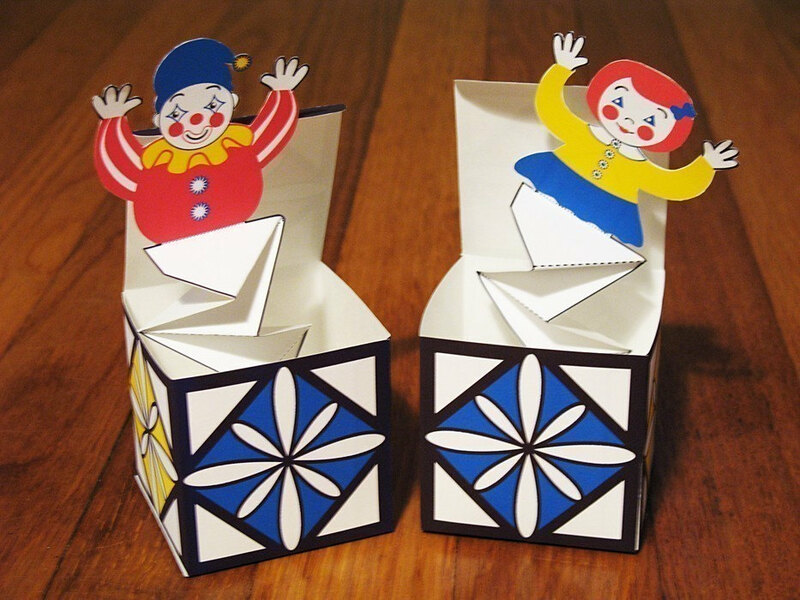 Next follow the simple instructions to create your paper Jack in the Box Moppet and Poppet. Just cut out, fold and glue (a glue stick works great). 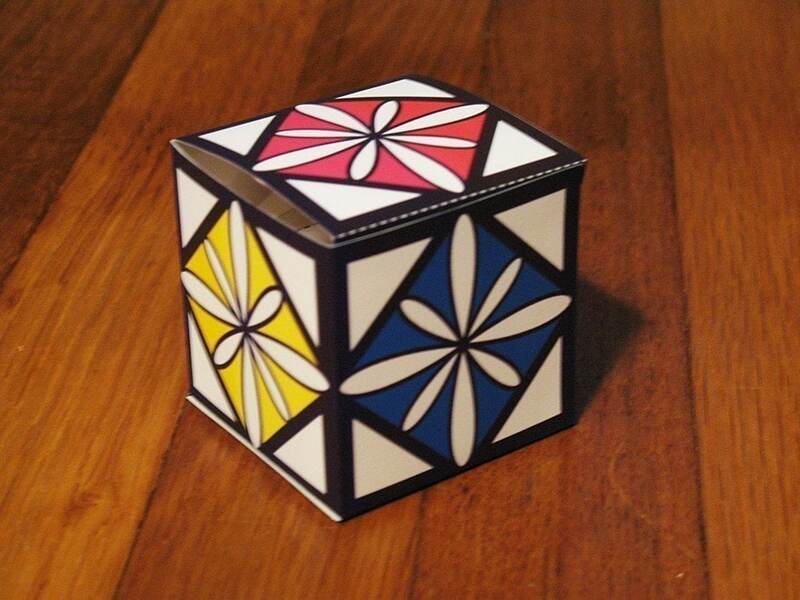 Each assembled closed box is a 2.5 inch cube. Open the lids and watch them come popping out. Makes a fun gift! Fun to make, fun to play with! Also makes a great decoration for parties or holidays! Intended for children old enough and capable of safely using scissors and glue. Great design and easy to assemble. Ordered this printable box pop up for a summer birthday and know everyone will be tickled with their favors.